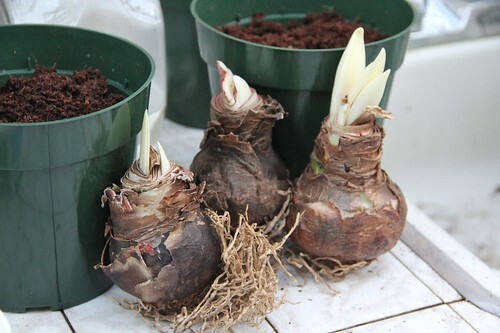 I purchased three of these Hippeastrum ‘Red Lion’ bulbs at a 50% after Christmas sale. 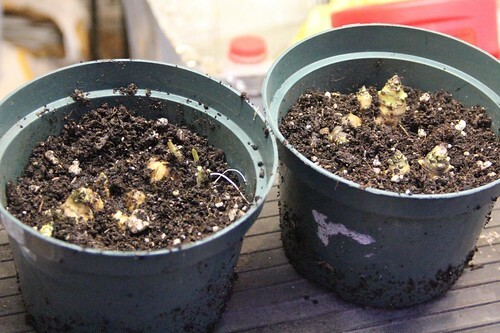 They are starting to sprout, so I’ll plant them into a pot and let them grow outside in a protected location in our front patio. I saw these tubers being sold at the Hayward Farmer’s Market. 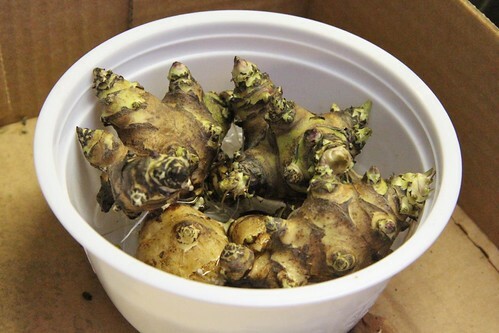 I thought they were Ginger, but they were labeled Sunchokes . 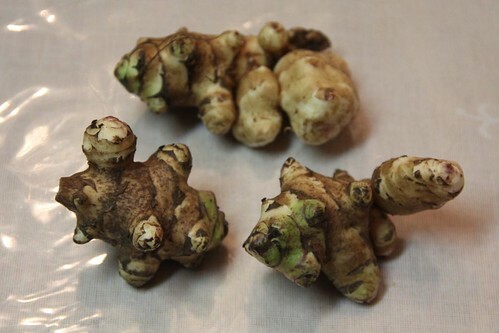 I didn’t know what Sunchokes were, but I knew I wanted to grow them… so I bought these three tubers. I’ve been soaking these Sunchokes in water for more than a month now and they have sprouted roots. 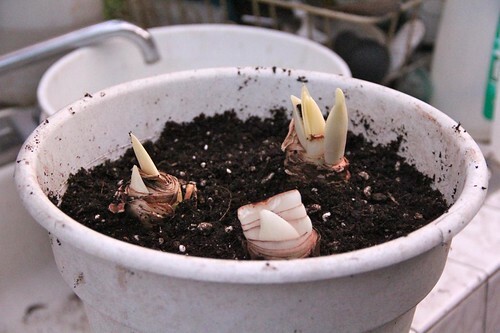 Before the Sunchoke tubers that I soaked in water gets too big, I potted them up in two pots and placed them outside, before I figure out where to eventually plant them. Just got an email from AT&T saying that their network is getting faster with 4G… although I don’t think my iPhone 4 will benefit from this since it’s just a 3G device. I wonder if/when Apple will announce a 4G iPhone?